In a world increasingly globalized and more demanding in terms of immediacy, the improvement in the distribution processes has become a great priority for almost all sectors, with fashion being one of the most affected. Mainly due to the rise of two trends in recent times: the high turnover of products, with the constant launching of new collections, and online commerce. To face these challenges, companies in this sector are demanding new applications that allow them to be continually faster, make fewer mistakes, and reduce their costs in this area. The most important way to improve the distribution process is to integrate the systems of all the participants: vendor, warehouses and transporters. 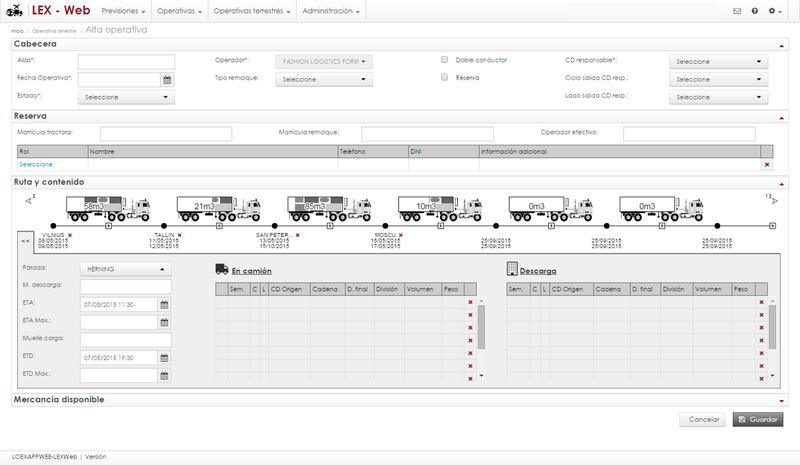 With that shared information, it is much easier to create tools that automate the most important tasks: the contracting of transport services, logistics operations, and the communication with all the agents involved, including the final customer. A single label is generated for each shipment, which includes all the codes with which the brand, the warehouse, and the carriers work. Using this means that there is no requirement for each of them to review the garments to generate their own label with the code used by their own system. An automatic auction system is responsible for choosing the best carrier according to the business rules chosen by the brand such as price, time and quality. The database is continually updated, and the contracting is done online, without having to directly interface with the system of each carrier. 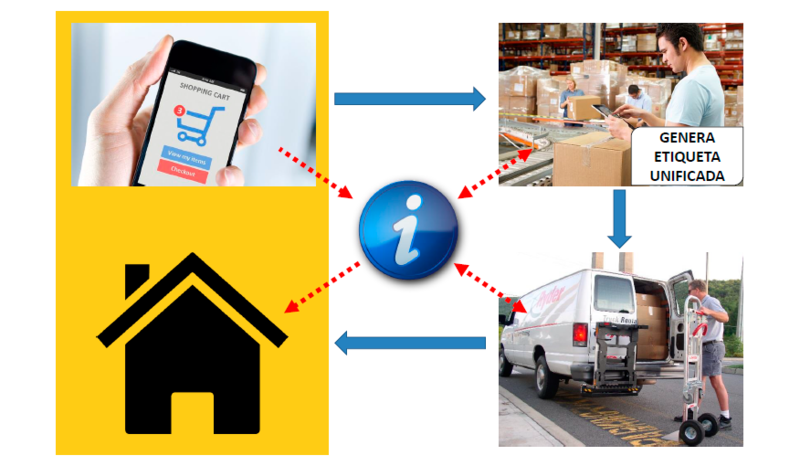 The logistics systems of the brand and the carriers are continuously connected. 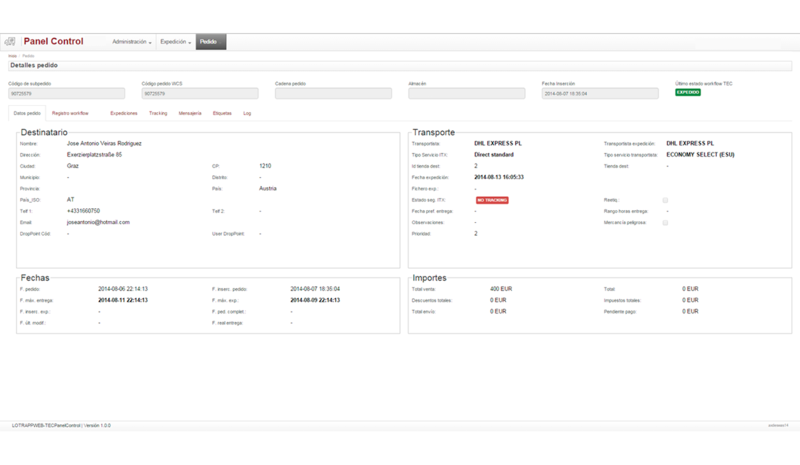 Each merchandise dispatched arrives at the corresponding carrier system in real time, avoiding errors and loss of time caused by communication failures. The information systems of the transporters inform the brand of the tracking of the shipment, so it is always located and any incident is notified instantly. In addition, the seller can share this information with the recipient, which is a highly valued aspect in case of being a final customer. Choose a solution that resolves the principle needs of the distribution area of the fashion sector, which is already implemented in other companies similar to yours and that allows you to move forward without needing to innovate technologically. A solution designed for the long term that is highly configurable, that allows you to continually prioritize what is important, and that integrates easily with your other applications.